The idea for this nifty, reversible flannel comes from Mel’s Desk. I’ve used this multiple times for storytime (see our farm theme) and the kids always get a kick out of it. Flipping the eggs over to reveal the chicks is such a surprise! Cackle cackle cackle Clap hands as you say Cackle! Print and cut out the Hen and Chicks. Glue chicks and eggs back-to-back. Laminate pieces if you like. 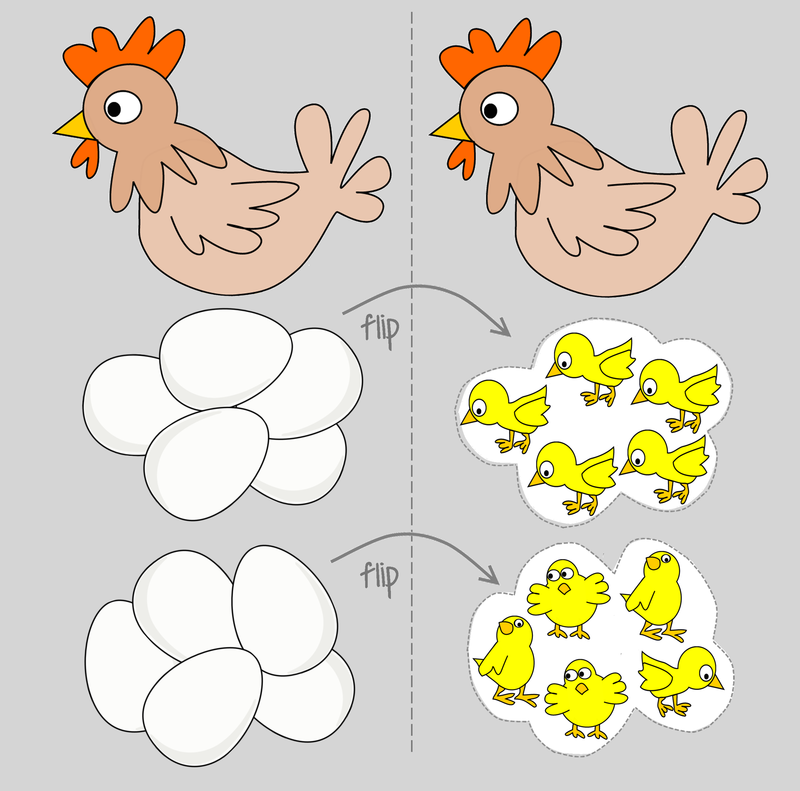 Add white velcro dots to both sides of the eggs/chicks. This allows you to flip the eggs over to reveal the baby chicks!